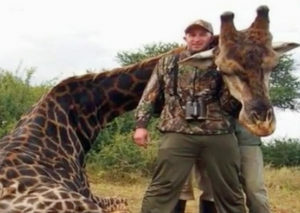 Big Game Hunter Kills This Gorgeous Animal – See What Mother Nature Had Her Soldiers Do! Scott van Zyl, a big-game hunting enthusiast from South Africa, provided a service for interested clients to go on hunting excursions through his company, SS Pro Safaris. People would pay to hunt animals like lions, wildebeest, and rhinos. He was certainly no stranger to the element of danger involved with hunting wild animals. One day, however, he went missing, and locals and authorities feared the worst. While he was skilled at the safety precautions necessary to go on such adventures, it seems his hobby caught up with him. While on safari in Zimbabwe, accompanied by a tracking guide and a pack of dogs, he and the guide separated at the Limpopo River. Scott wasn’t seen again. According to the guide, the dogs returned to the base camp without Scott, so the guide called local authorities. They found Scott’s footprints leading to a riverbank and his backpack. There were also two Nile crocodiles nearby. Police suspected Scott may have been attacked and killed by the crocodiles. Wildlife authorities killed the crocs and forensics experts and nature conservation services performed an autopsy, finding human remains inside. Share this story and help build a home for a disabled veteran. Click to Share on Face Book. Previous Previous post: Watch What Award Winning Investigative Reporter, George Knapp, Has to Say About The Safari Club’s Convention in His City, Las Vegas! Next Next post: [Urgent – One Click] Sign petition to make Bucheon the first “Dog Meat Free City” in South Korea.